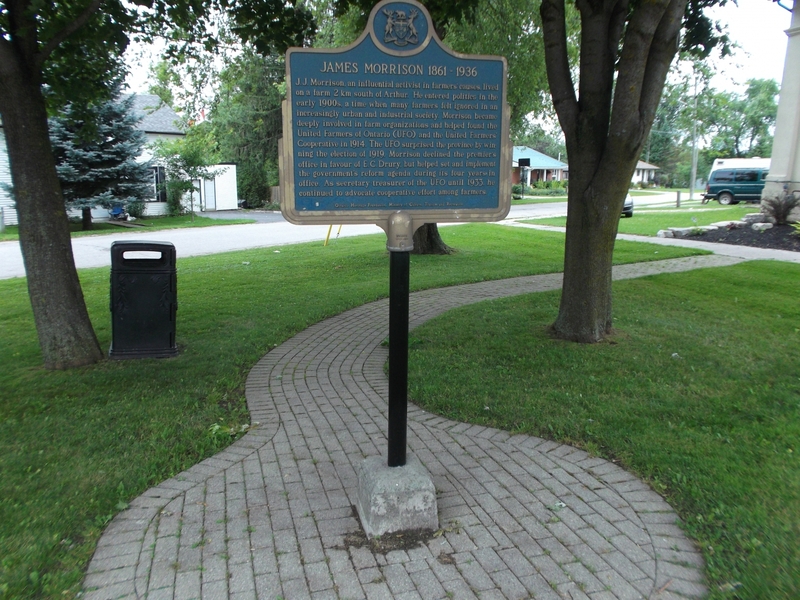 J.J. Morrison (1861 - 1936), an influential activist in farmers’ causes, lived on a farm 2 km south of Arthur. He entered politics in the early 1900’s, a time when many farmers felt ignored in an increasingly urban and industrial society. 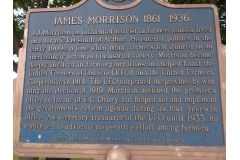 Morrison became deeply involved in farm organizations and helped found the United Farmers of Ontario (UFO) and the United Farmers’ Cooperative in 1914. The UFO surprised the province by winning the election in 1919. Morrison declined the premier’s office in favour of E.C. Drury, but helped set and implement the government’s reform agenda during its four years in office. As secretary-treasurer of the UFO until 1933, he continued to advocate cooperative effort among farmers.